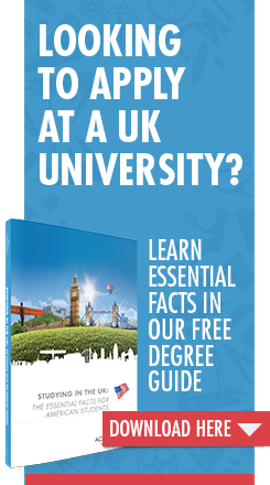 The University of Brighton is a thriving university located in beautiful locations along England’s south coast within easy reach of London, Europe and beyond. The origins of the university can be traced back to 1859 with the founding of the School of Art in the Brighton Royal Pavilion. Today the university is a community of more than 20,000 students, offering over 500 professional and practice-based undergraduate and graduate courses. The University of Brighton takes its name from one of the most diverse, energetic and popular cities in the UK. The university is spread across the city from the seafront to the South Downs and also has campuses along the coast in lively Eastbourne. Brighton is less than an hour to central London and only 30 minutes away from Gatwick International Airport. The university’s focus is on developing the skills students will use after they graduate. Almost all degree courses offer work-related learning opportunities, and many offer salaried placements of up to a year. Students can build additional experience and skills through project work, volunteering or joining local entrepreneurial and other networks. Students receive career support from the day they arrive. Trained advisors are available to help students explore their career options and find suitable internships, placements or volunteering opportunities. They also provide practical help with CVs, applications and preparing for interviews. Over 50 professional bodies accredit the university’s courses. Students can graduate with an internationally recognized degree, giving them a competitive edge in the job market almost anywhere in the world. The university's professional-standard learning facilities enable students to build practical skills and experience they can use throughout their career. Facilities include TV and radio stations, a podiatry hospital, flight simulator, human movement labs, a dispensing pharmacy, prototyping facilities and many more. Students also have access to libraries, media centers, computer rooms, campus-wide Wi-Fi and student central, the university’s online learning environment. The university is committed to continual investment in equipment and buildings. A new advanced engineering building has been built at the Moulescoomb campus which provides specialist facilities for teaching and research. In central Brighton the Edward Street development is expanding facilities for the College of Arts and Humanities, providing a new home for photography, moving image and film and screen studies students. The University of Brighton is a research-active community making significant contributions to social, cultural, economic and environmental wellbeing across a broad range of work. The Research Excellence Framework 2014 (REF) recognized 92 per cent of the university’s research as being world leading or internationally excellent in terms of the impact it makes. Students from the USA are supported in many different ways. Trained advisors provide personalized advice on a range of practical issues such as visas, accommodation, health and finance, and give guidance on day-to-day living in the UK. All new international students are invited to attend an orientation program to help them adapt to life in the UK. It’s a great way to meet other new students, get to know the university and join in with social events. The program includes a free airport pickup. First year students can choose between living in university halls of residence or finding private accommodation. The university’s accommodation team helps students find the right place to live whether they’re based in Brighton or Eastbourne. Housing options include university-managed housing, privately rented accommodation or homestay with a local family. More than 3,000 international and EU students study at the university each year. The rich mixture of nationalities and cultural backgrounds this represents makes the University of Brighton a truly international community. The university currently has 105 enrolled students and 986 active alumni from the USA. During their time here, students can benefit from a wealth of experiences outside of their studies. Brighton is home to some fantastic festivals including music, arts, digital and science. The Students’ Union has over 100 societies ranging from business start-ups to cultural groups. There are also over 60 sports societies, free language classes and student community activities such as TV and radio stations and a food cooperative. The university offers a range of scholarships to international students that eligible students from the USA can apply for. If you would like to find out more about studying at the University of Brighton, please contact one of our Across The Pond Advisors. Location: Brighton is a multi-campus university with locations in city locations along England’s beautiful south coast. Wherever you’re based you’ll be close to the beach and countryside, and within easy reach of London and Europe. Notable alumni: Many of our alumni have gone on to forge rewarding and successful careers. Here are just a few: Norman Cook (DJ, musician and producer), Mandy Chesswell (Master Inventor and Fellow of the Royal Academy of Engineering), Rachel Whiteread CBE (Artist and Turner Prize winner), Dr Gary Brickley (British Paralympic cycling team coach) and Yvonne Powell, OBE for services to education. Lecturer Colin Paterson has been given the role of Lead Physiotherapist at the holding camp for the Rio Paralympics in September, where he will oversee physiotherapy and soft cell therapy. Congratulations to him on this wonderful accomplishment! Colin Paterson lectures at the University of Brighton’s Eastbourne campus. If you’re interested in studying Physiotherapy or another subject at University of Brighton, please enquire today! The best thing about Brighton is the vibrant, coastal location and access to London and the rest of Europe.